Candle Warehouse is the leading store of home decoration accessories. Candle Warehouse has a wide collection of beautiful and designer candles including glass candles, dinner candles, grave light candles, pure fresh air candles, pillar candles, tea light candles, citronella candles, and night candles. This store has an exciting selection of different types of candleholders and candle accessories. Varieties of home fragrance articles are also available in Candle Warehouse. The store remains open from ten to eight in the weekdays. In Sunday, the working hour is from twelve to six. The store provides exciting discounts on various occasions such as mother's day, Christmas, Valentine's Day, etc. 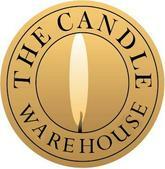 There are currently 0 consumer reviews about Candle Warehouse available. Share your review. Please take a note that you are about to post a public review about Candle Warehouse corporate office on CorporateOffice.com. This review will be public, so please do not post any of your personal information on this website. If you would like to contact the corporate offices of Candle Warehouse, please use their contact information such as their phone number, website, and address listed above to contact them. However, sometimes staff from Candle Warehouse headquarters do read the reviews on this website.